The day after the quake. Greek people hugely voted against bailout plan proposed by the IMF, the ECB and the European Commission, approving Alexis Tsipras who has now a new legitimacy to negotiate with his partners. 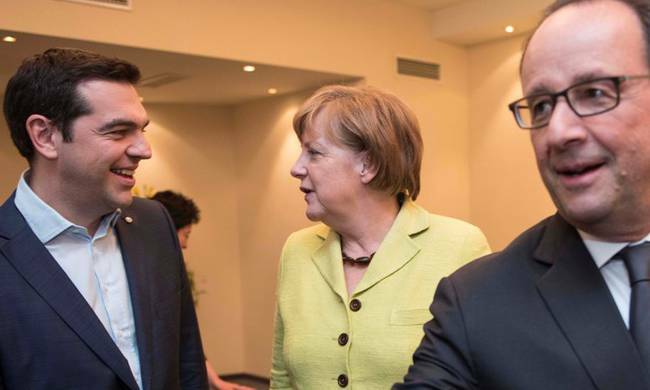 On their side, EU partners are waiting for Athens makes new proposals to get the country out of the crisis. This is a sine qua none condition to resume hypothetical negotiations although a Grexit seems to be the n°1 solution now. 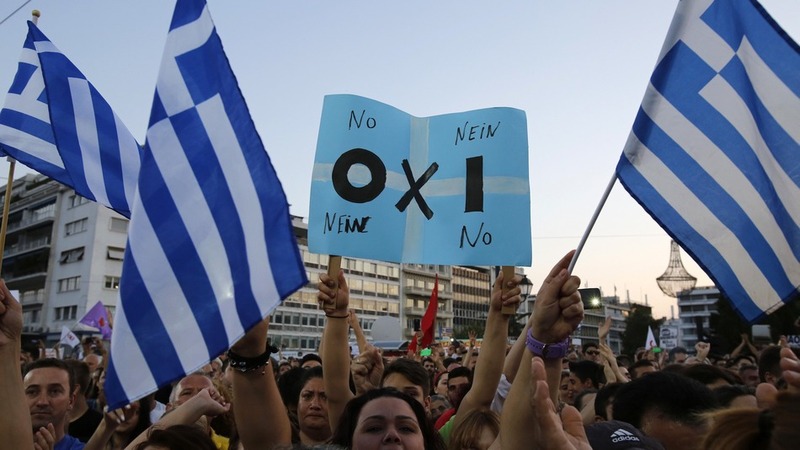 Most of French politicians warmly applauded the outcome of the yesterday Greece’s referendum. Marine Le Pen, Jean-Luc Mélenchon, Nicolas Dupont-Aignan… they all considered the “no” as the clear expression and will of the Greek people against a non-democratic EU. Time has come to dismantle the European Union and implement a Europe of the Nations immediately. Alexis Tsipras stated a “No” would strengthen the Greece’s position within the negotiations with the creditors and would not mean a leaving from the Eurozone. Making the political promise, most of Greek people backed and approved Tsipras’s strategy, persuading Greece will not be forced to quite the Eurozone and even the European Union, tackling the austerity plans too. Thanks to this ambiguity, Tsipras could win his gamble and save his head. But now, he has to make some ambitious and clear concessions to his EU partners, if he really wants his country to stay in the Eurozone. Indeed, political Europe is (unfortunately) the sum of national interests leading to a European ambition. These national interests are all based on democratic legitimacy defended by leaders representing demands of their people. And it is hard to imagine public opinions from Portugal, Spain, Ireland and Cyprus will approve that Greece gets new concessions from the EU so easily. These EU members also experienced austerity measures and bite bailout plans to recover their economy. Their citizens made a lot of sacrifices to put the country on tracks and they would not understand why Greeks should be exempted. As Michiel van Hulten, Dutch blogger and based Brussels EU consultant explained, there is a quite terrible misunderstanding between Greece and his partners. Athens is persuaded the European Union will not give up it because it has no interest to do it even if Tsipras government does not lead the indispensable structural reforms finally. But on the other side, EU partners, Germany first, demand Greece respects the commitments and reforms itself to be less dependent from them. And Merkel, Hollande and Tsipras will have to find an ambitious and clear agreement to get out of this political and economic mess. If Tsipras fails to maintain Greece into the Eurozone, it will be a real political problem for him and the PM will be accountable to his citizens who did not vote for Grexit. If Merkel and Hollande fail, they will also be accountable to their public opinions for not having overcoming national interests vis-à-vis EU integration. And they will give reason to Marine Le Pen and other Euro-sceptic leaders. Time to get out of the ambiguity now! 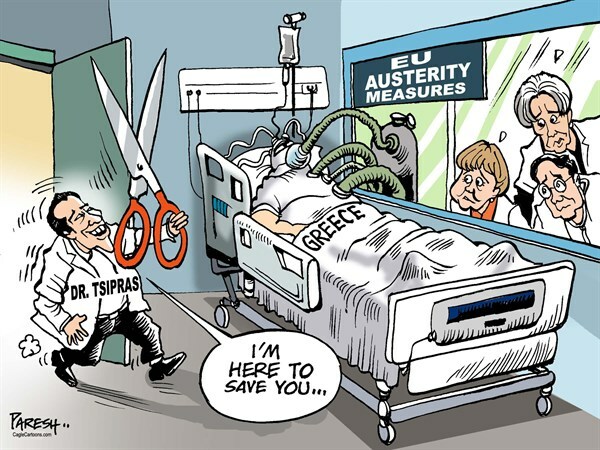 Tags: Alexis Tsipras, Angela Merkel, Europe, European Union, Eurozone, François Hollande, Greece, Grexit, SYRIZA. Bookmark the permalink. Previous post ← Οχι : and now? What do we do?